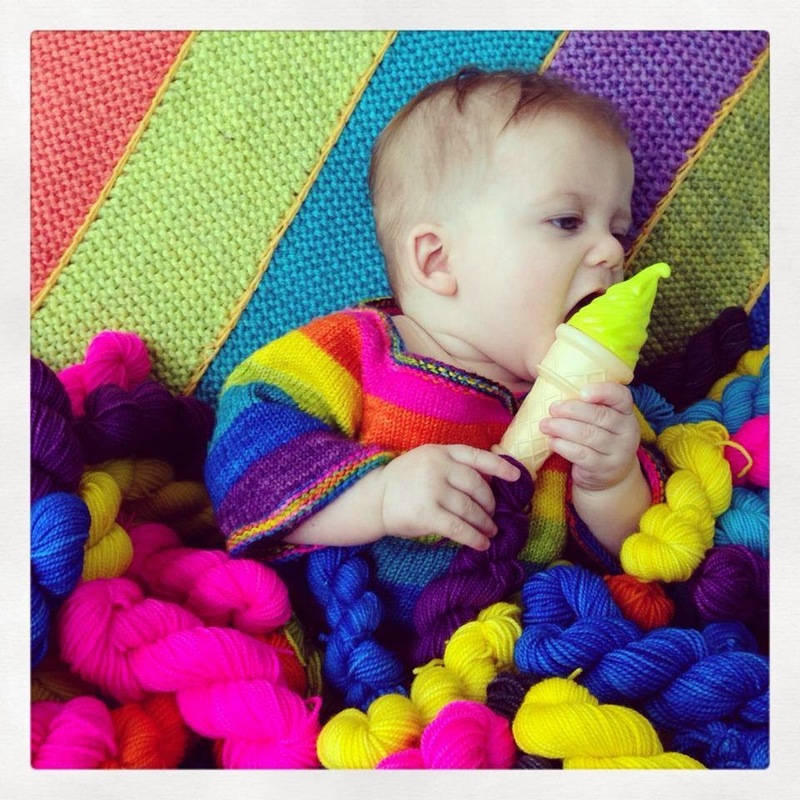 This month I am pleased to interview Lorajean Kelley of Knitted Wit yarns right here in Portland, Oregon. I believe that Lorajean was the very first hand dyer that I met when I started checking out the local yarn shops around town and visiting fiber events like OFFF (Oregon Flock and Fiber). In addition to dyeing gorgeous yarns and fiber for spinning and running a business, she sometimes works at Twisted in Portland (where I have taught as well), and is mother to THREE children who keep her quite busy. 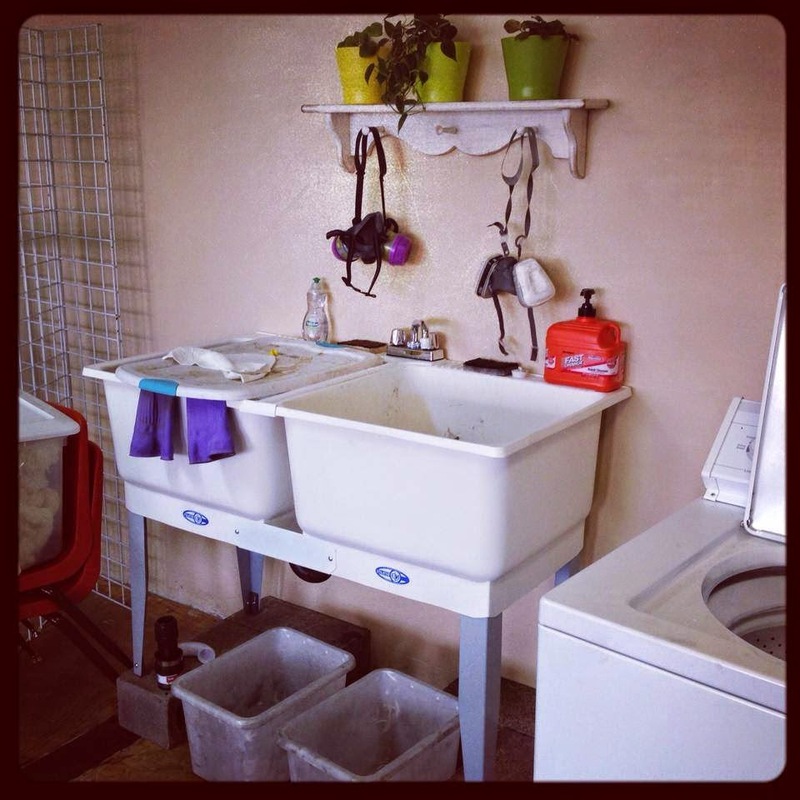 Just this year, Lorajean was able to move her business out of her family home and into her own studio space where she has been hosting classes to teach others about dyeing, in addition to producing beautiful products sold all over the country. 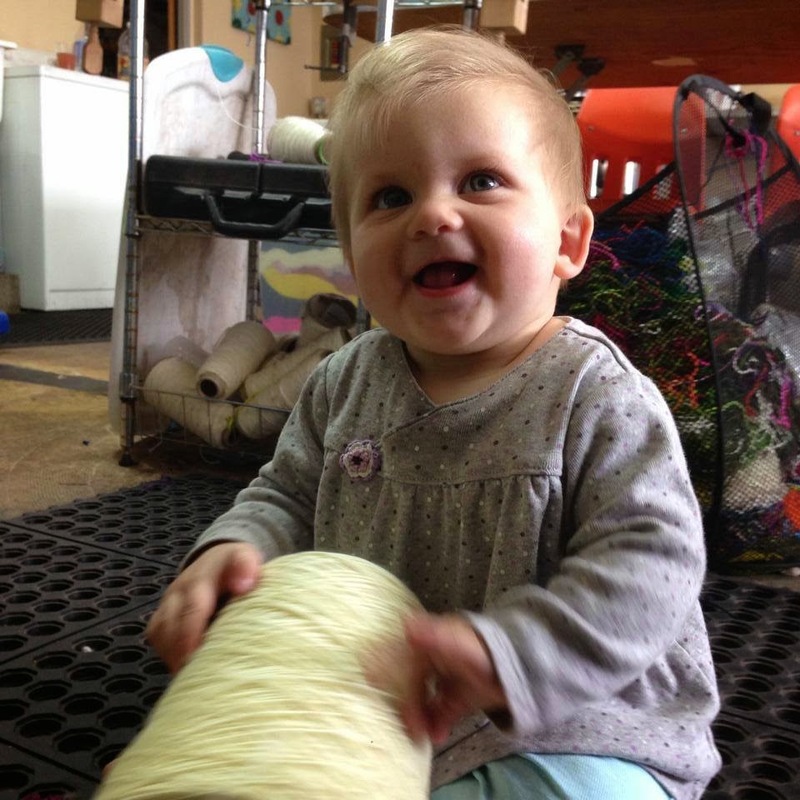 Knitted Wit was able to grow into it's own studio with the help of their Community Supported Yarn program. This ingenious type of yarn club allows customers to buy memberships to receive yarn each month for four months. By having customers pay ahead of time, Lorajean has the money upfront to purchase all of the fiber and tools necessary to produce the yarn customers are paying for, as well as expanding her business to produce more and varied products in the future! 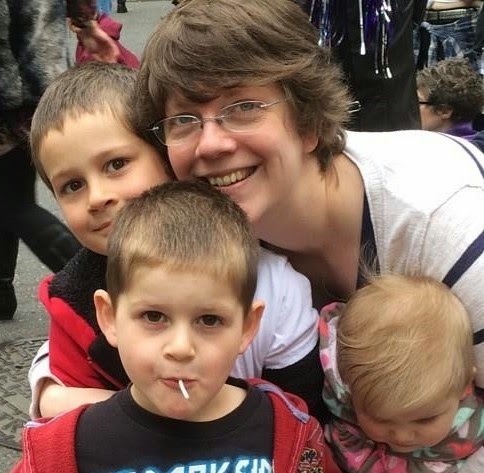 With three kids underfoot (and Halloween coming), Lorajean managed to answer most of my interview questions by typing them on her phone while her little one slept. I can certainly relate to the life of a working mother! How long have you been dying yarn? I've been dyeing yarn as Knitted Wit since 2007. In 2002ish a friend invited me over to do some natural dyeing and that was my first time doing the craft, it was a blast! I have no formal training, but I do read and research both dyeing and running a small business. What is Community Supported Yarn? As a small business owner it can take a little extra capital to get projects started and completed. By buying a share or membership, you are helping Knitted Wit grow. What each round of CSY will fund depends on how many memberships sell. What do supporters get for their CSY membership? 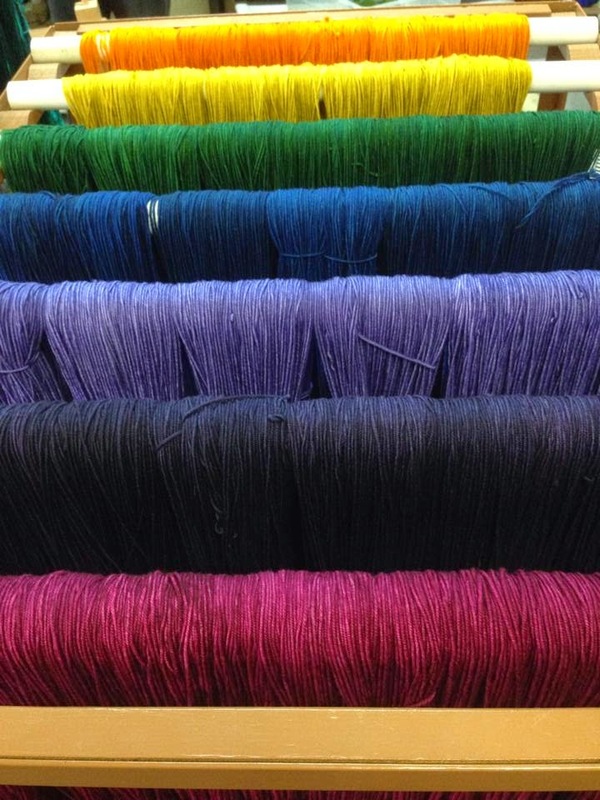 Members receive four skeins over four months, to arrive shortly after the 15th of each month. Depending on the yarn weight, each skein should be large enough to make the average shawl or pair of socks. You pick variegated or semi solid, we make the color magic happen. With each shipment you'll receive a love note with dye inspirations, pattern suggestions, and pertinent news. My color names can be pretty funny. They're usually what ever pops into my brain first when I'm looking at the color. I don't restrain myself from the ridiculous when naming. While the world around me is inspiration, so is my collaboration with shops, designers, and customers. 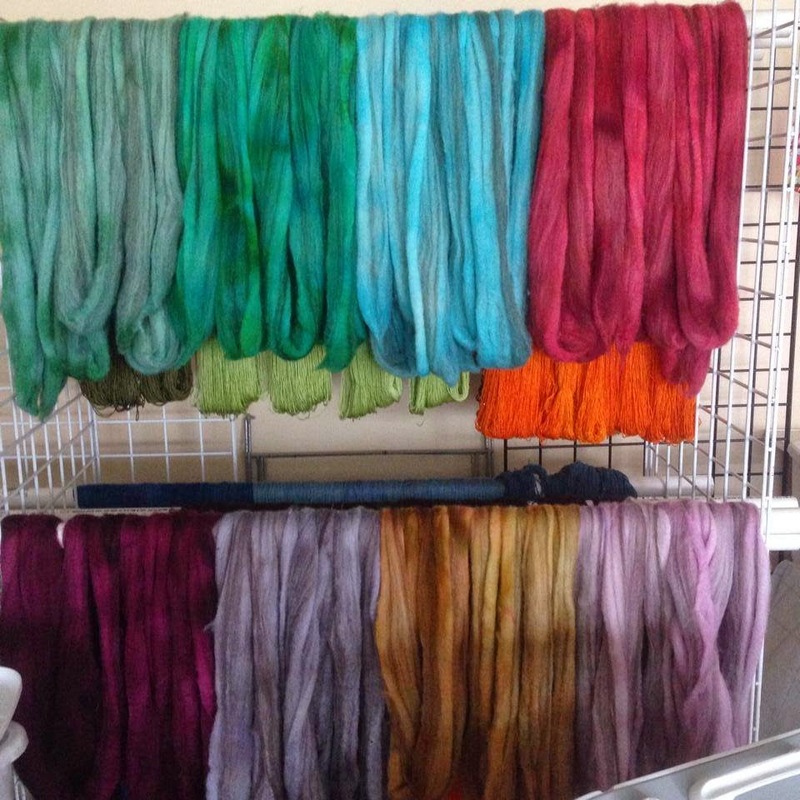 I dye for 100 colors that are repeatable, and also create new colors seasonally. Do you create seasonal or special order colors? How many and what types of bases do you use? 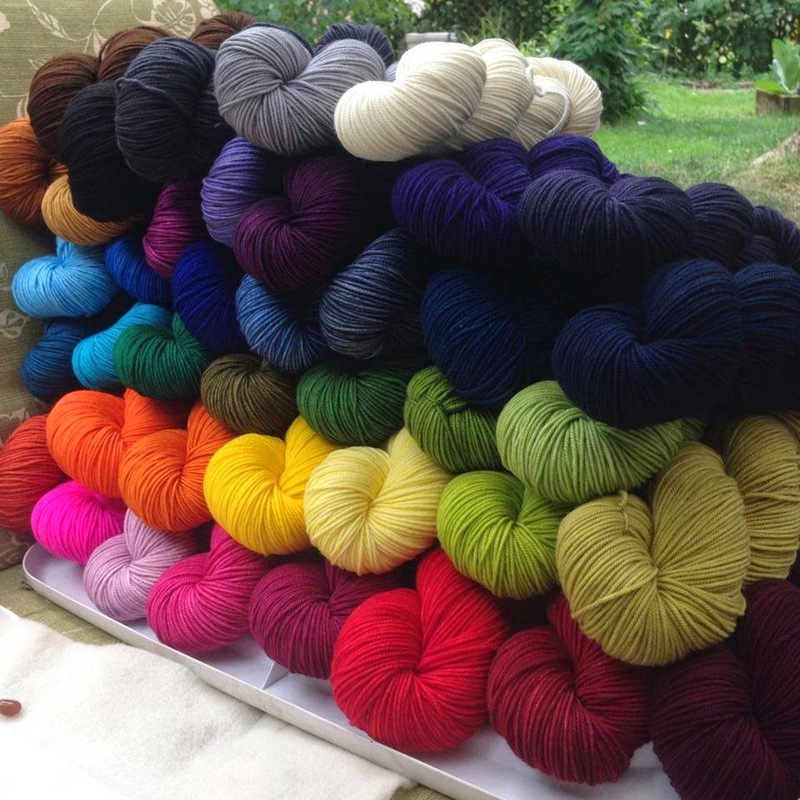 I dye 13 different yarn bases, from lace weight to super bulky, there's a yarn for everybody! Where do you source your yarn bases? I use yarns that are sourced from sheep to skein in the USA. I also have yarn with cashmere, the cashmere being sourced in china of course. The full range of yarns are available on my Etsy shop and in 40 yarns shops around the country. My favorite color is rainbow. I don't like choosing one because I love them all and all their shades! I knit, spin, crochet, sew, cross stitch. I don't do nearly as much as I want with three young kids, but I do what I can. And finally a little yarn tasting!